Edinburgh Commonwealth bantamweight champion Lee McGregor has joined the MTK Global stable after severing ties with Cyclone Promotions. 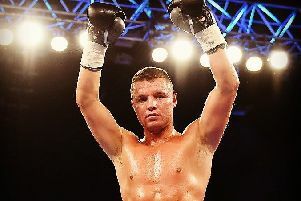 The 22-year-old signed his first professional contract with Cyclone promoter and former WBA world featherweight champion Barry McGuigan in October 2017 and was undefeated under the Northern Irishman. McGregor, who is yet to go the distance in his five fights to date, was also trained by McGuigan’s son Shane in London alongside Prestonpans star Josh Taylor. 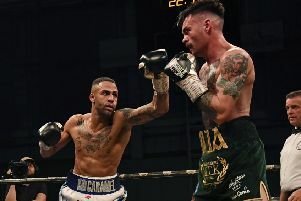 The former amateur Scottish and British champion, who also holds the IBF World Youth title, is already weighing up an all-Scottish showdown with current British belt holder Ukashir Farooq of Glasgow. “I’m delighted to have joined MTK Global. They’ve promised me some really big fights and in Scotland too,” said McGregor, who recently became a father. “I want to move forward with my career. We’ve got a really good plan in place so I’m super excited to see how far I can go with such a massive team behind me. I’m putting my trust in these guys to take me to the top and I know they will deliver. I’m ready to go when I get the call to fight.